Renting in Rittenhouse: What will $2,000 get you? According to Walk Score, this Philadelphia neighborhood is extremely walkable, is easy to get around on a bicycle and boasts excellent transit options. Data from rental site Zumper shows that the median rent for a one bedroom in Rittenhouse is currently hovering around $1,600. 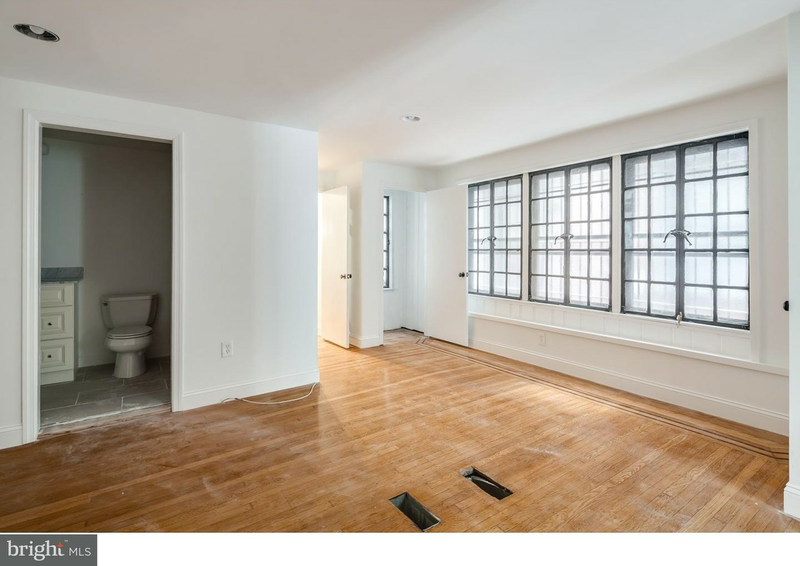 Listed at $2,000/month, this 915-square-foot one-bedroom, one-bathroom unit is located at 2219 Delancey Place. Amenities offered in the building include on-site laundry and storage space. In the unit, you can expect hardwood and tile flooring, recessed lighting, high ceilings, ceiling fans, in-unit laundry and a fireplace. Pets are not permitted. Next, there's this one-bedroom, two-bathroom condo over at 333 S. 18th St., #1F. It's listed for $1,995/month for its 800 square feet of space. When it comes to building amenities, anticipate assigned parking and secured entry. The apartment features hardwood floors, high ceilings, a dishwasher, stainless steel appliances, a breakfast bar and a fireplace. Cats and dogs are not welcome. Here's an 881-square-foot studio at 1616 Walnut St. that's going for $1,985/month. Building amenities include on-site management, a residents lounge, shared outdoor space, extra storage space, a roof deck and secured entry. In the unit, you'll get hardwood floors, a dishwasher, stainless steel appliances, a breakfast island and in-unit laundry. When it comes to pets, both meows and barks are welcome.